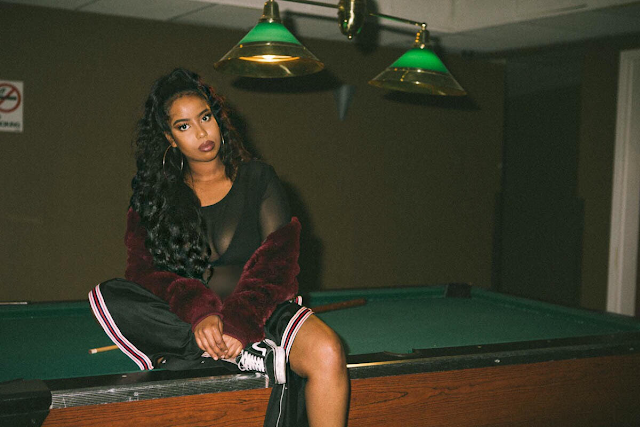 Toronto's Layla Hendryx Releases New Video With "Rain or Snow"
Layla Hendryx burst onto the scene in 2015 with her debut EP release “Channel 6” and immediately established her self as an artist to watch. Her genre blending sound infusing elements of hip-hop, R&B and trap caught the attention of fans and critics alike. Her single “B.T.W” was featured on episode 4 of OVO Sound Radio and quickly became a fan favorite off the project, while her music caught the attention of taste making publications such as: The Fader, MTV News, Complex Music and Vice / Noisey among others. After a short break from releasing music, Layla returned with a 6 song EP titled “PreePaid”. Toronto based producer JMak Beatz, who also produced all of “Channel 6”, produced the EP in its entirety. The new project is a return to Layla’s aggressive lyricism with her signature ability to switch styles and genres effortlessly on tracks. Releasing the first single off the EP, “Livin' It Up” featuring Pressa in June, “PreePaid” is now available on all stream services. Layla’s latest single “Rain or Snow” is both melodic and aggressive. This juxtaposition is symbolic of Layla’s sound, as her ability to sing in airy, soothing melodies and then switch to rapping with sharp lyricism and a commanding mic presence. With the song gaining traction on Spotify and Apple Music playlists, Layla has just released the official video. Directed by Toronto based filmmaker Roda, “Rain or Snow” is Layla’s second official video release. Premiering the visuals via The Fader, Layla brings life to the fan favorite track off “PreePaid”. Be on the look out for new music and videos coming soon!